We're marking a big birthday this year—have you heard? 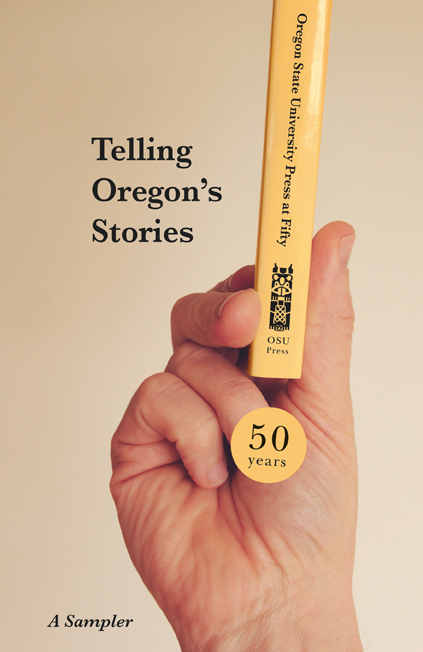 Oregon State University Press is 50! We've published close to five hundred books—books that "celebrate, evaluate, invent, and illuminate the Oregon condition." To say thank you, we want to share a gift with you, our readers and friends. We've created a sampler, a reflection of the inspiring and noteworthy books that OSU Press has been privileged to publish over the years. And we're making it freely available on our website and through our collection on the ScholarsArchive@OSU open access digital repository. In these pages, you'll travel from the nocturnal streets of Portland to a Columbia River island, from a homestead on the southern slope of Steens Mountain to the fictional Mink River on the Oregon Coast. You'll read stories from the only individual to win two unshared Nobel Prizes, from the first African American woman to be elected to the Oregon State Senate, and from outstanding scholars, journalists, and naturalists. We invite you to download Telling Oregon's Stories, and to share it widely. We hope you'll be as delighted with this collection of astonishing and remarkable voices from the Northwest as we are. Congratulations to OSU Press authors Evelyn Searle Hess and Kimberley Mangun, 2011 WILLA Award Winners! In To the Woods: Sinking Roots, Living Lightly, and Finding True Home—the winner of the Creative Nonfiction Award—Hess tells the story of building a new life on twenty acres of wild land in the foothills of Oregon's coast range. A Force for Change: Beatrice Morrow Cannady and the Struggle for Civil Rights in Oregon, 1912–1936, the Scholarly Nonfiction Award winner, illuminates the life and work of one of Oregon's most dynamic civil rights leaders. The WILLA Literary Awards, named in honor of Pulitzer Prize winner Willa Cather, are awarded annually for outstanding literature featuring women's stories set in the West. They are selected by a distinguished panel of professional librarians. 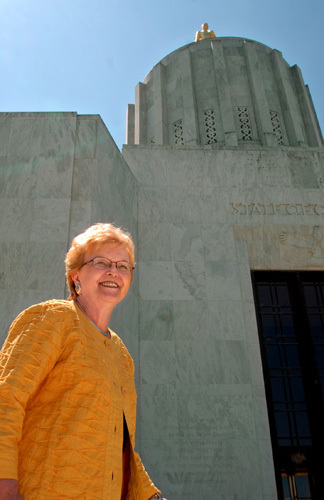 We are proud to announce the publication of Up the Capitol Steps: A Woman's March to the Governorship, a personal and political memoir by Oregon's first (and only) woman governor, Barbara Roberts. The book is the third in OSU Press's new Women and Politics in the Pacific Northwest series, edited by Melody Rose of Portland State University. Join us on Sunday, October 16, 2-4 pm, for a book launch reading and signing at Portland State University (Hoffman Hall, 1833 SW 11th Avenue). the event, presented by the Center for Women, Politics, & Policy, is free and open to the public. This Friday, October 14 at 9 a.m. tune into OPB's Think Out Loud for a lively conversation about the long arc of Barbara Roberts' political career. And take advantage of another opportunity to meet Barbara Roberts on Tuesday, November 1, 7 pm, at Broadway Books (1714 NE Broadway, Portland).